We now have a Thursday group to supplement our Tuesday volunteers. We have been too successful for our own good. Waipa District Council can not get enough staff to do the maintenance required on our plantings so we have to do it ourselves. The Thursday group was started by Eric Todd last year, 2017. Some of the more able-bodied of us get together and spray and weed our plantings. The two big ones, Lola Silcock Park and the Meadow Walk, require a lot of maintenance as they are fairly new and their plants aren't big enough to keep weeds down, unlike our older plantings, which are fairly clean. This work supplements the Tuesday group's summer maintenance program. We spend 2-3 hours in the field, then adjourn to a cafe to put the world to rights over morning tea. This video was made in March 2018. This one dates from May 2018. We have seen how recent urban developments have provided the opportunity for further walks to be developed, in particular, how two arboreta have been developed. The future walkway links in that area, including Norfolk Downs, Swaynes Road, and Saffron, have largely been determined, and the Oak Arboretum now has an intersecting pair of tracks, made in 2014. There are other major housing developments taking shape on the northwest side of Leamington, overlooking the river, and an extension of the Poet's Track further downstream now joins the Meadow Walk to Alpers Ridge. River Gardens subdivision is now established and Cambridge Park is opposite. And of course at some time in the future Waipa District Council will have to accept that a third bridge is required, which in turn will provide new challenges and new opportunities for Cambridge Tree Trust to plan and to provide further walkways. The new Waikato Expressway also provides opportunities in the form of areas of land cut off from previous access points. The Waipa District Council is replacing the sewer pipe that crosses the river. We have tried to ensure that when that happens, a footbridge will be built, giving a circuit along both sides of the river. Unfortunately, the cost is estimated at some $5 000 000, mostly to provide good access for mobility scooters and other aids for those who need them. This project is gone, but not forgotten. The nursery and shade house at 89 Thornton Road, Cambridge opened in February 2002. Visitors are welcome. If the doors are open come on in. The Tuesday group consists of volunteers who meet at the nursery and spend about three hours (9 - 12) doing whatever needs to be done, according to the season: potting on, planting out, weeding etc., either at the nursery or, more often, out at any of the walkways or other sites which may be under development or in need of maintenance. The Oaklands project is a good example of the extent of the work involved. Residents fronting the western boundary were sent a letter and a plan in June 2006, detailing what was proposed. Feedback was invited and assistance asked for. The documents are shown in the side menu. Sanatorium Hill Restoration Project. 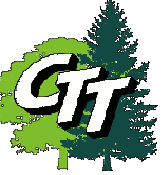 An offshoot from the main activities of Cambridge Tree Trust is an interest in Maungakawa Reserve, in particular, the "Tuis 2000" pest control project.